If you were holding out on picking up Bless to see if it goes free-to-play, do we have some good news for you! When the game exits Early Access on Steam on October 23rd, it’s going straight to F2P. 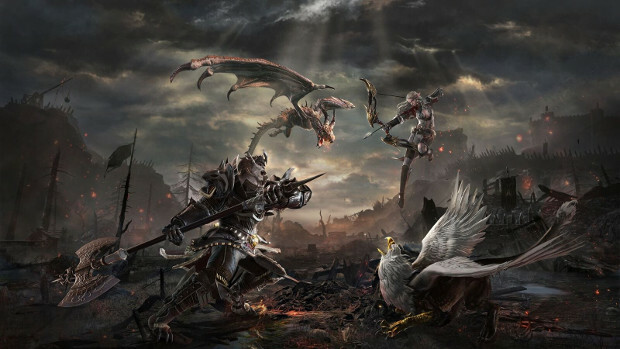 Neowiz announced the launch today via a press release. For those who already ponied up money for the game, the company has promised “unique rewards” — even for those who grab the game between now and the official launch date. Players who bought the Collector’s Edition will receive rewards too, as well as a free lifetime premium membership sub. All other editions will be given at least three months of premium membership as well as exclusive skins. Details on these rewards are available on the launch announcement on the Steam page. In addition to the F2P announcement, Neowiz revealed they’ve dropped another patch containing a new raid for high-level players. And, for those in the Halloween spirit, yes, there’s a seasonal event. Information on both of these can be found on Steam as well. i like how all the trolls and haters keep commenting on “failing” product to keep hype going and boost seo rankings. keep good work up and promote game for free! I think we’re way past the age of “Any publicity is good publicity”. Oh boi, Troy, I feel sorry for him, how can a single person be so right about a single Game, but honestly, this was inevitable. But it might actually save their asses. Thats what happens when you buy ticket on broken train, it will crash ofc. They milked you so hard and they will try to polish game with that money now. The game is a mess just let it die. lmao … i freaking knew it … they should do it F2P from beginning. I don’t think it was an emergency that made them switch to F2P. I believe everything went according to plan. It may be a bad move in the long term, but I’m not convinced they intend this game to be around for much longer. it won’t last..give it a year or two..and then shuts down…they have destroyed this game.. I doubt this game is going to last more than 5 years before shutting down. And I’m only giving it 2 years because even Wildstar managed to survive 4 years, so a game that is harder to kill than a cockroach(has been shut down in other regions previously) will sure last a little bit more.